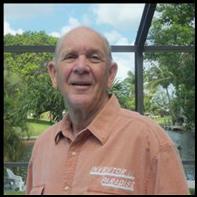 Tom Kershaw, the Inventor In Paradise shares a blog and materials to assist inventors, entrepreneurs and friends. Tom is the Director of "616CORP" (was Ballback Inc"). He's now seeking new ventures for capital growth. Who isn't! A long time ago we paid rent for storage locations to assist our growing business (ventures of development and distribution of various products). As business grew, we purchased this small mini storage facility for rental income and more space. Today, we only use some units... and rent out the others. It requires our limited attention...while enjoying Florida weather. Yes, It turned out to be another Great Idea. I have a bad back that welcomes exercise.. The spine often pinches some nerves that go to my leg and foot. Call it numbness if you like. Sometimes I don't feel the ground, the rungs of a ladder --or a nail in my foot. Yup! I did it again. A late night walk around our cul-de-sac ...where new homes are built. ..with lots of contractor debris. My sandals didn't know I stepped on another roofing nail until I got home. Good thing I keep my pliers handy. Early in our marriage, I urged my wife to try golfing (I loved it). No, she wasn't interested. It's too hard, too hot, too boring. Later, she did go - but I had to be quiet (no comments... no instructions). Well, It took some time before she would golf with others. Then, she liked our social golf groups-and she started playing quite well (without any lessons- and certainly no practice - and no husband help). By now she has gone through several golf bags, five putters I know of, and about 3000 golf balls. Sorry, I had to quit golf (bad spine - chronic pain). But still, she goes golfing at least once a week....with others or alone...using coupons that allow entry to various challenging courses. She has no problem teeing off with the men. 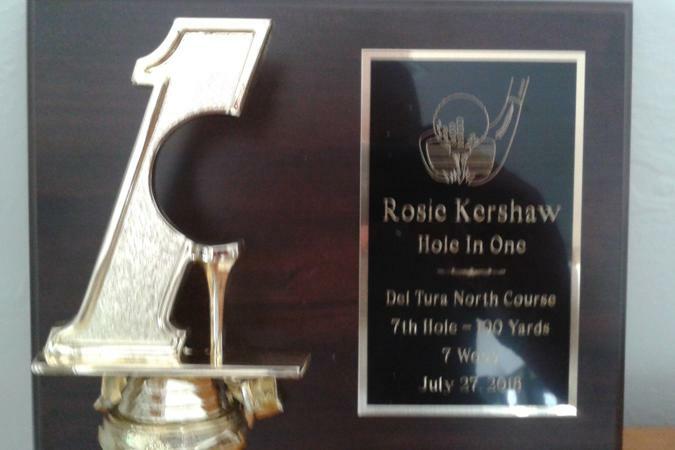 Today she put her "hole in one trophy" on display near our T.V. Yup, I have to look at it every single damn day. That's my golf lesson. We fixed and flipped a few cars while retiring in Florida. I said "we", but my wife doesn't work on cars. And I was hardly "retired", managing distribution of invented products. The car flips offered a diversion. But - certainly each required fixing, patience and someone's love of messing with old cars. 1. The red 1979 MGB needed a new exhaust, seat frames and dash work It was sold to a retired mortician in Chicago. The married couple flew to Florida and drove the car home as a fun filled, five day motor trip. I mailed him an official MGB hat. 2. This is a 1970 British racing green Jaguar XKE 2+2. I fixed the AC and did engine, brakes and upholstery repair. It shipped to a doctor in California. His mechanic actually called to praise my work. I was shocked...and pleased. 3. This is a 1969 Burgandy colored Jaguar XKE 2+2 required extra TLC before it sold to a man in New York City. I installed a complete A/C system and faulty wiring. I hated shipping it to that nasty climate (my home state). 4. This 1980 MGB is the star of "MGB Videos.com". I kept it for 5 years and did a ton of work, including a complete A/C installation. It was sold and shipped to a man in England. It's the truth! 5. This 1996 Jaguar XJS convertible required electrical switches, upholstery, and waterproofing of the top. We had it for only 3 months (no plates)...and drove it less that 20 miles (off road). A man flew in with cash (all 20 dollar bills) and shipped it home to Germany. I had to count the bills three times! 6. This 1997 Jaguar XK8 convertible was sold to a couple who flew in from Maine... to drive it home...in December (Nice here, but cold there). They bought new tires, and checked the engine and heater for the trip. A good idea! Yes, each car sold for profit beyond our expenses of all purchased parts. My wage? Let's call it a labor of love. From our Cape Coral home we see three new homes sprouting around our cul-de-sac. We see another fine home rising across our canal. Must be the economy is okay! Have you ever seen "Storage Wars" - where they cut padlocks from units to auction the contents. We own a small storage complex. Each unit has a roll-up door with a sliding latch. The latch shown is designed for two padlocks - one for the tenant (it's gone))...another (shown for ref) is for the facility to "over-lock" a "problem" unit (Supported by a Florida Statute). A tenant said they didn't have the key for his padlock (not shown)....so they sawed the latch to allow removal of his closed padlock...and slide the latch to enter his unit. Of course, the locked padlock was a four dollar item (with no key). The new latch cost me $22.75 - and the time to remove, order and install a new latch. P.S. "Storage Wars", shows how quickly we can snip the lock (or grind it off) while avoiding destruction of the latch. But - no worries....we always demand a tenant security deposit for such nonsense. Tom's Bio reflects his growth to become an entrepreneur.